John Procter, Senior Director, Value and Access for Quintiles, says the industry must increasingly prove how products can improve patient outcomes, and adapt its offering to customers. The NHS has undergone huge change in recent years, having to cope with massive structural reform, its biggest ever squeeze on budgets, and relentlessly growing demand from an ageing population. While the structural reform is now in place, it is clear there will be no let up for the health service. Simon Stephens, the new chief executive of NHS England said in his maiden speech in April that “the NHS has been continually adapting, and successfully evolving, since the very day it was created” – and signalled this would continue unabated. The NHS is facing many challenges: in ensuring patient safety and dignity; in reorganising itself in terms of integrating health and social care and providing round the clock services; in emphasising prevention and health; in increasing the use of innovation to improve outcomes – and delivering all of this within a virtually static budget. These changes are so radical that the biopharmaceutical industry has realised it cannot ignore them. For the industry, one of the most fundamental shifts is that healthcare systems are now demanding proof of a medicine’s ‘real world’ value. That means the industry must demonstrate the value of its products to the health service – not by merely restating results from clinical trials, but by proving how products can improve patient outcomes within existing NHS care pathways. That’s why biopharma needs to adapt its offering to customers, and make an investment in changing relationships with the NHS. For the NHS frontline, this means a new product can’t be launched without a company considering its impact on patient outcomes within established pathways of care. As ABPI chief executive Stephen Whitehead’s said in his speech at the industry association’s recent annual conference, biopharma is no longer “designing, developing and manufacturing a medicine in a big shed, and then lobbing it into the NHS to buy it” – but there is clearly room for further improvement in this. There have been efforts made on all sides to try to align the goals of the NHS and the pharmaceutical industry more closely, wherever possible. In 2012, the ABPI collaborated with the Department of Health and the NHS Confederation to produce a new guide to Joint Working between industry and the health service. This has helped create more momentum in biopharma-NHS collaborations, but these projects are not easy to get right, and require teams which combine excellent project management skills, deep understanding of clinical issues, statistics and experience of service commissioning. Deploying a team of experts in joint working with the NHS to facilitate the design and delivery of projects can produce demonstrable improvements in NHS care pathways, support service enhancements, and improve health outcomes for patients. So how can the biopharma industry support the NHS in the design and delivery of services to support health care service improvement? One of the biggest challenges in healthcare is finding new ways of treating a population in the context of developments in medical technologies and clinical best practice: providing the right treatment to the right patient at the right time, in the right way. This makes sense both in terms of clinical outcomes and in terms of producing efficiencies in the system. Current patient services can be analysed using qualitative and quantitative methods, and this approach can quickly suggest a way forward for improving services for patients. A qualitative review of current services simply involves the team spending time to understand how patients move through the system and asking: Does this current system produce the best outcomes? Is it as patient friendly as it could be, or as efficient? Using Lean Six Sigma process-improvement methods can help to analyse problems from a different perspective and uncover details previously hidden. Then you add to this a quantitative review of all the statistics and figures available, such as Hospital Episode Statistics, GP practice data and financial data and build this into the pathway model – this tells you to what sort of time and budget is being spent on treatment, and what sort of results it is producing for patients. Combining these two approaches, along with simulation modelling to test assumptions, is a simple but very effective way of understanding current services – and suggesting ways in which they could be improved. Deploying this sort of team into the NHS – where there is a mutual goal for improving services – can help unlock a lot of closed doors. One major advantage is that the team can help spread best practices, taking good ideas from one health authority, and applying them in other areas. The NHS is diverse in how it provides care from region to region – there are always different ways of providing the same services, usually driven by local health profiles, treatment priorities or historical patterns within a local health economy. Teams recommending and implementing changes to services such as adjusting pathways, shifting the locations of care, and facilitating training for healthcare professionals and patients must take into account the reasons for these variations, but can also be bold in suggesting new ways of providing better services for patients, being agents for change in a way that NHS staff often find it difficult to be. Creating more patient-centric services is even more compelling when changes can help free up resources – either in terms of healthcare professionals’ time or money. These resources can then be diverted to other services, producing an additional benefit for the health service. There are many opportunities for these initiatives across diverse disease areas. Oncology is one area where there have been a number re-designs around diagnosis and treatment and follow-up. A good example of this is in follow-up appointments following cancer treatment. One hospital trust may have patients coming into hospital as outpatients, while a neighbouring trust has moved to doing these appointments remotely – spreading this best practice could help spread the financial benefit while also achieving better patient outcomes. While arguments for change might seem immediately compelling, the planning and co-ordination required to bring about a successful change shouldn’t be underestimated. That’s why a proper change management programme should be used, to create a clear process for moving from pathway A to pathway B – and to convince internal stakeholders that it is a good thing. If you can provide a service which manages projects from design to implementation, this makes all the difference to the success of such initiatives. Anything that helps with the transition from one pathway to another – such as providing interim nurse staffing – is also invaluable. One of the final steps is to provide evidence of the impact the changes have had on the patient journey, using a service audit. This evidence of success is a very powerful way to help build momentum for change in the health service, and provide further proof that the industry and the NHS can work together successfully in improving patient outcomes. John Procter, Senior Director, Value and Access for Commercial Solutions in the UK, oversees the delivery of health management, market access and value services to the pharmaceutical industry and the NHS. His expert knowledge and insight of working in and with the NHS is gained from 20 years in the healthcare industry in the UK. 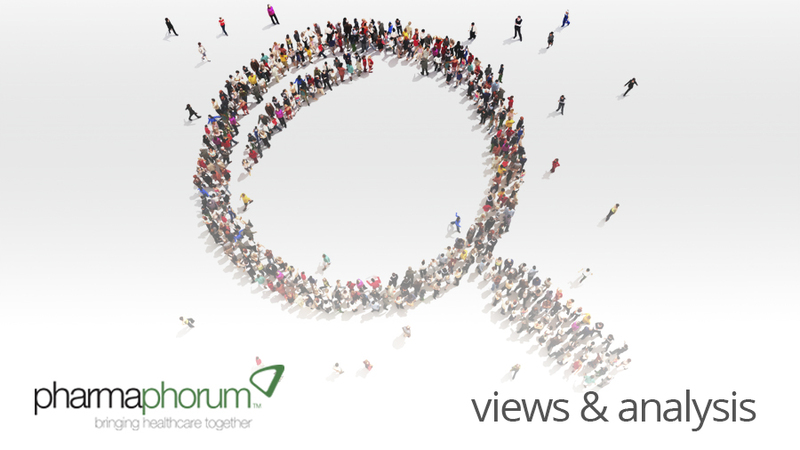 Have your say: What are the biggest barriers to greater industry and NHS collaboration?